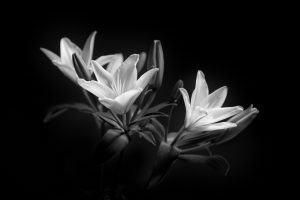 Still life photography allows the photographer to create images having full control over lighting, mood, and composition. Still life photography requires a bit of planning and skill when it comes to arranging the subject matter to create a good photo. This class will introduce this classic art form and students will learn about lighting choices, subject arrangement, and will gain insight into light, shape, form and color. This is an intermediate level class. Manual exposure skills with your DSLR camera are required. Chuck Vosburgh was born in St. Petersburg, and has over 30 years experience as a full-time professional photographer, educator and author. 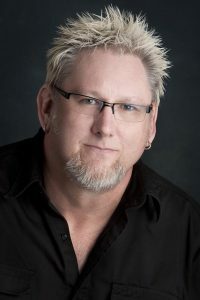 He is a PPA Certified Professional Photographer, Adobe Certified Expert in Photoshop, Comp TIA CTT+ Certified Technical Trainer, author, and artist. His work has been exhibited and published internationally. HIs many awards and honors include three-time Florida Professional Photographers Association Award of Distinction for service to the Photographic Industry, Tampa Bay Professional Photographer of the Year, Tampa Bay Commercial Photographer of the Year, Tampa Bay Business Journal Top Ten, and Tampa Bay’s Top 10. Over the years, Chuck has helped thousands of people become better photographers with his easy, down-to-earth speaking style and his talent for making the complex simple. Chuck regularly speaks to groups from small hands-on classes to groups of hundreds at industry conferences. Chuck is a frequent speaker at conferences and seminars and is the editor of LightingIsEasy.com, a free online resource for photographers.